This is the blog for my research. There will probably also be thoughts on related things, such as: ornithology; behavioral ecology; animal communication; the process of research; the wilds of academia; and animals being awesome. Who am I? I am Katie LaBarbera, a second-year graduate student in the Museum of Vertebrate Zoology at the University of California – Berkeley. Before I came here, I did research on House Wrens as an undergraduate at Cornell University. 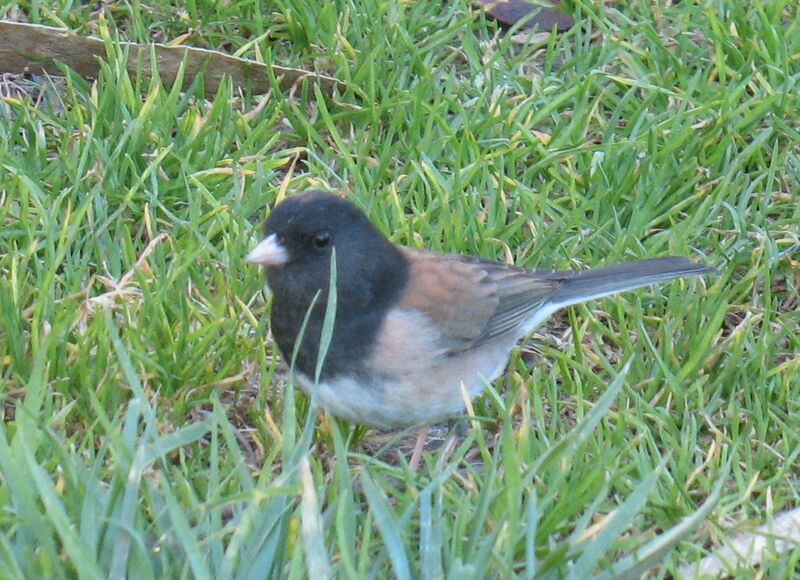 Now, I’m working on a research project on Dark-eyed Juncos in the mountains near Yosemite: specifically, how they respond to variability in their habitat, changes in the weather, and climate change. In a few weeks I’ll have a page up on RocketHub as part of the SciFund Challenge, and I hope you’ll check it out. There will be baby birds in the video!